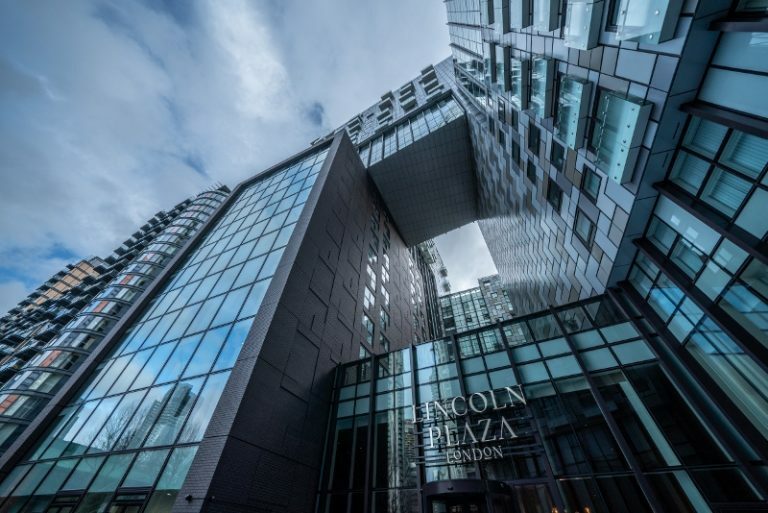 Based in the heart of Canary Wharf, RPW Design has announced the opening of its most recent project, Lincoln Plaza London. 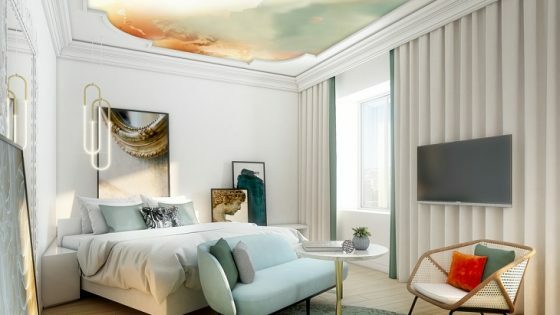 Conveying its location into the hotel, the experienced RPW Design team, led by Nicola Romanelli and Richard Snow, has maintained a unique and luxurious experience through the guestrooms, function and meeting spaces while staying true to the location. RPW Design took Canary Wharf as a treasure trove of inspiration; from the historic shipping and dockland past to the present day, high tech, modern, business, luxury residential living and extraordinary architecture. 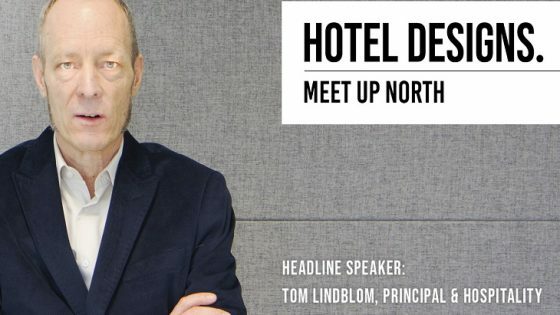 When approaching the design for a property in such a vibrant area of the city, RPW Design was inspired by a quote from the design brief for the new Hilton Curio Brand: “Hotels with a special character you can’t duplicate. They’re part of the fabric of their cities: true locals, each embodying the spirit of their home”. Lincoln Plaza London’s focus on luxurious lifestyle facilities has been seamlessly translated throughout the 129 guest rooms. The layout of the rooms was creatively developed to move away from the standard hotel offering by incorporating the vanity into the main lobby area of the room, creating a sense of space and openness in the room. A decision to remove the traditional hotel room desk was made, and instead RPW designed a multi-use table at the right height for either a work space or dining table whilst seated at the armchair. 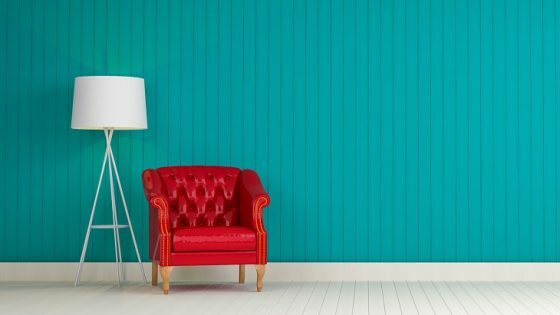 These changes allow a more residential feel. From the bespoke shelving units made of blackened steel and antique brass, through to the marble rainfall showers, all elements work together harmoniously. The guestroom artwork was carefully curated in collaboration with RPW Design’s Art Consultant, Peter Millard and Partners, in order to show some of the East End’s most famous and unique artists: Gary Hogben; Julian Bray; Kyra Cane; and Tom Clark. Meanwhile, individual sculptural pieces by Simon Bingle, positioned in every floor lift lobby, hark back to the industrial landscape still visible around the hotel. This particular bespoke artwork conveys RPW Design’s attention to details that is inherent in their projects. Canary Wharf is a more recent business hub for London, and the Hilton Curio offers 465 square metres of event space that is distributed across seven meeting rooms. With sleek design details, RPW Design implemented a blend of “old industrial” and contemporary design. RPW Design has created a popular new space in this centre of commerce and it is a truly unique destination for the Docklands. The reflection of the historical and industrial shipping dock is continued throughout the hotel, from the lower-ground meeting and function spaces to the fitness centre. Lincoln Plaza’s fitness centre is designed to be simple and modern, reflecting the location’s industrial heritage with a concrete reception desk formed out of concrete and rusty metal effect laminate in the joinery. 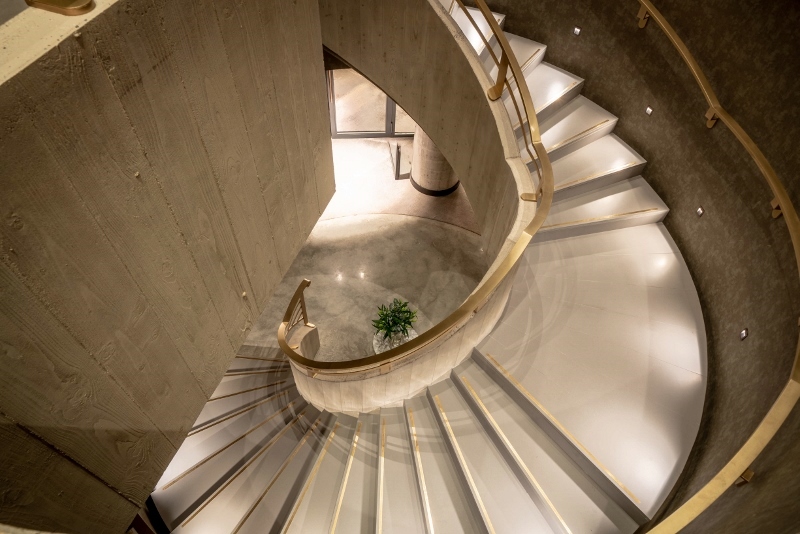 Lincoln Plaza’s meeting areas can be reached by a feature staircase that is formed of shuttered concrete, poured in situ, with an exposed timber imprint remaining on view, contrasted by a polished concrete floor. The rough concrete is offset by a luxurious brushed brass handrail and stair treads, with concealed lighting to add drama. This is diffused into the pre-function space, with a concrete render-effect wall covering and rich, dark timber doors. The function areas are versatile spaces that may be configured dependent on the client’s needs and meeting planners’ specifications. The large function room can be divided into thirds when required and the buffet counters housing TV and tea/coffee facilities in the individual meeting rooms can also be concealed, thus enabling various uses from one space. A central area with a communal work table, features iconic pieces of furniture from Poltrona Frau, Walter Knoll and Porada. The cranes, such a familiar sight in the Docklands, are reflected in the pattern of two large metal work screens, dividing the pre-function area. The walls of the function rooms are designed with contrasting finishes, featuring geometric patterned wallpaper and bespoke lighting, continuing the theme. Andrew Hart, Chairman of interior fit-out contractor Fileturn, commented: “This project was one which used all the skills of the team on site to incorporate the new designs within the existing structural shell. The fit-out areas designed by RPW included public areas, conference and meeting room facilities as well as bedrooms. 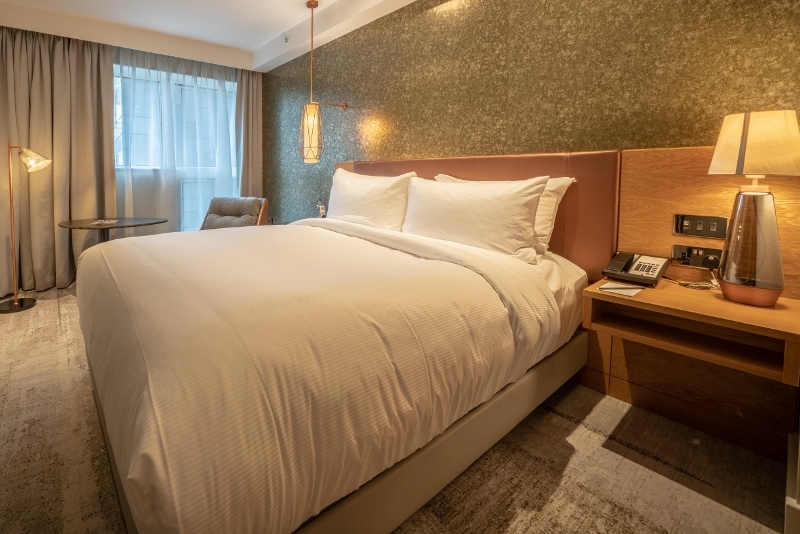 The end results have produced a striking hotel in keeping with its surroundings and one the team here at Fileturn can deservedly be proud of”. 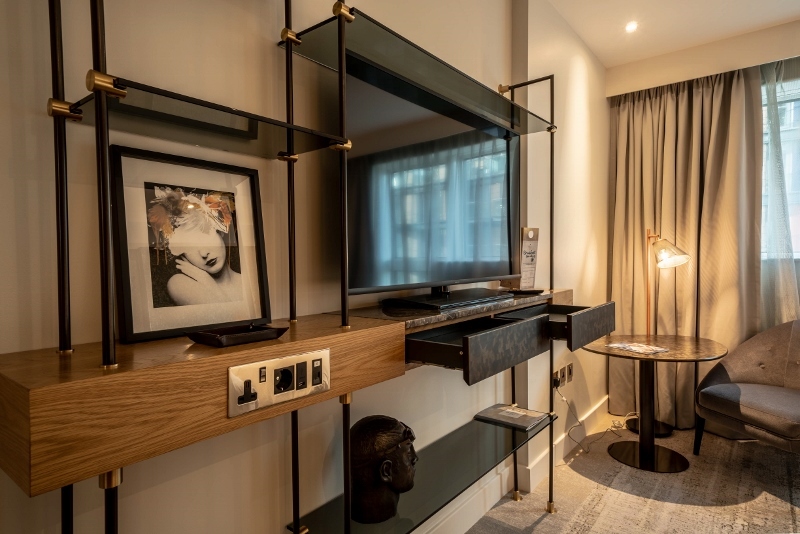 RPW Design worked alongside Fileturn to make the design become a reality, creating the perfect addition to the Curio Collection by Hilton.